Premium version includes: Faster loading time, advanced graphing, faster market updates, many customizable coin options, multiple collection capability, cleaner and more advanced user interface, all crashes fixed! The "Gold and Silver Collections" iPhone application has helped thousands of people keep track of, calculate, and graph the market value of their coins. 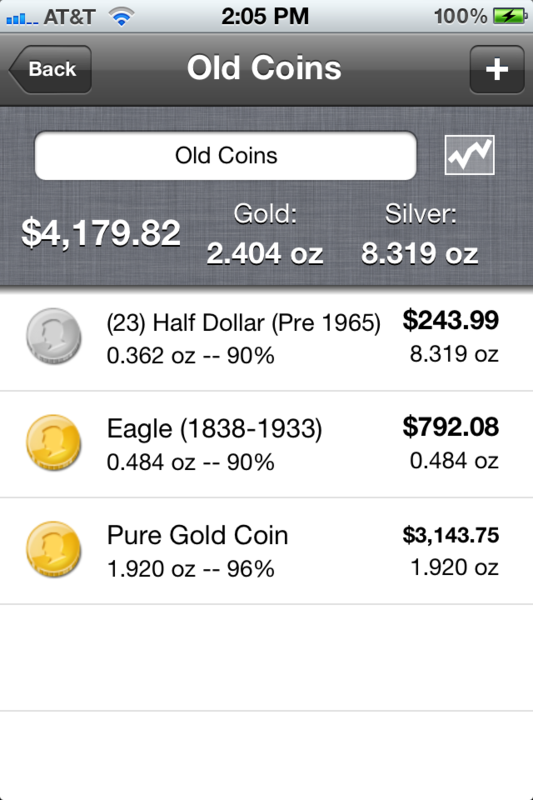 The app allows you to keep track of gold and silver coins, bullion, and jewelry. Items can be grouped into separate collections. 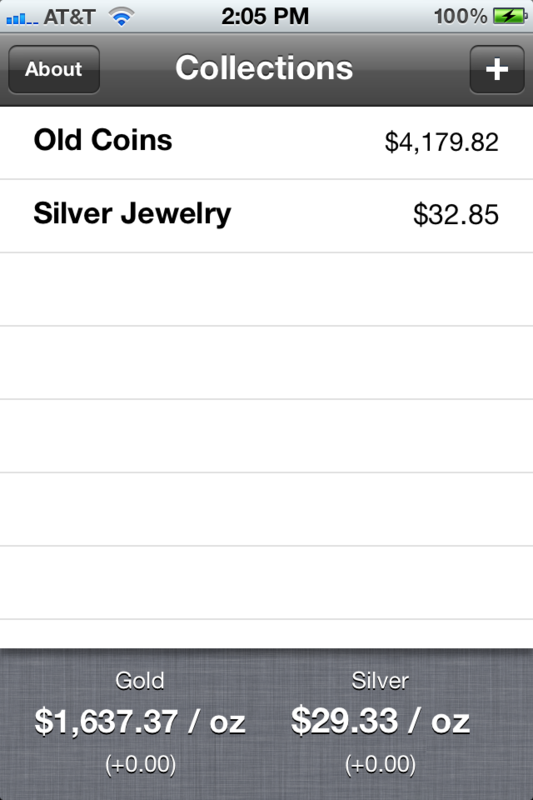 The app uses spot gold and silver precious metal prices to calculate the value of your coins, jewelry, and collections. Values are graphed and updated daily!